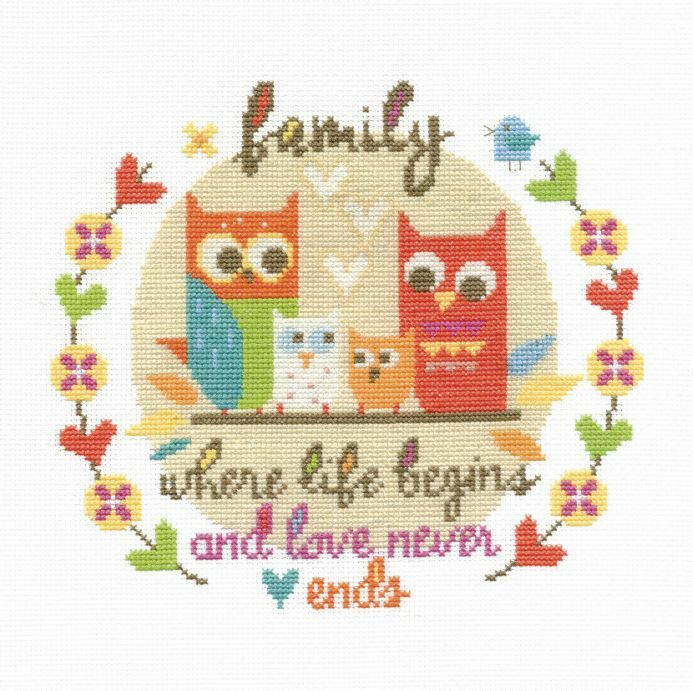 Full cross stitch kit from DMC of a lovely cute owl family. Finished design is 8x8" on 14 count aida. Kit contains DMC stranded cottons, aida, needle, chart and instructions. This cross stitch chart is made up of full crosses and a very small amount of back stitch.